When will be Ranger Rob next episode air date? Is Ranger Rob renewed or cancelled? Where to countdown Ranger Rob air dates? Is Ranger Rob worth watching? LET'S GET OUTSIDE! 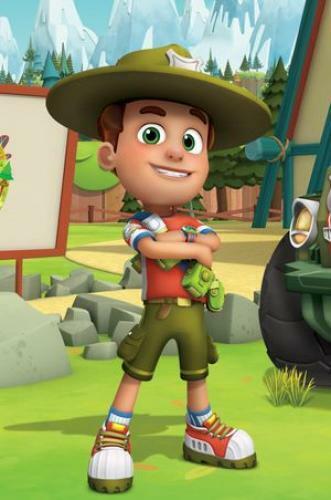 Ranger Rob is our enthusiastic, adventurous HERO and he is all about getting outside to PLAY, EXPLORE and DISCOVER! Bursting with boy-energy, Ranger Rob zip-lines, vine-swings and even snowboards his way around as he discovers new and exciting places in his own big backyard – Big Sky Park, the coolest outdoor adventure park ever! Rob shows Stomper that picking strawberries fore a BSP event can be fun. A yeti statue famed for safeguarding the park from mishap falls from its pedestal. Rob perseveres on a challenging climb to the top of Night Light Mountain. Rob and Stomper offer to watch the animal sanctuary for Mom. Ranger Rob next episode air date provides TVMaze for you. EpisoDate.com is your TV show guide to Countdown Ranger Rob Episode Air Dates and to stay in touch with Ranger Rob next episode Air Date and your others favorite TV Shows. Add the shows you like to a "Watchlist" and let the site take it from there.